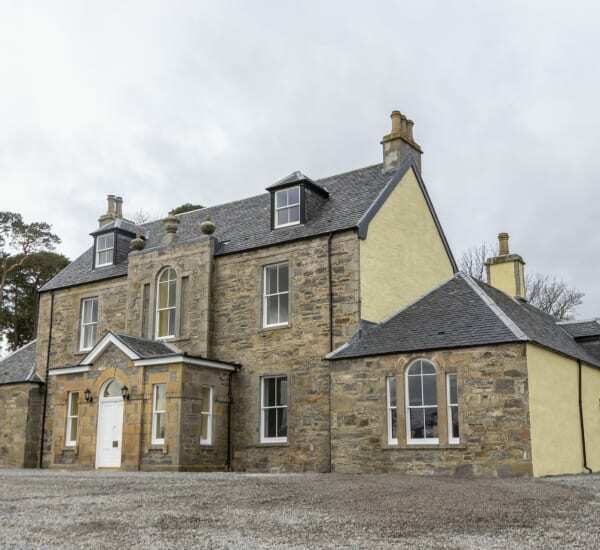 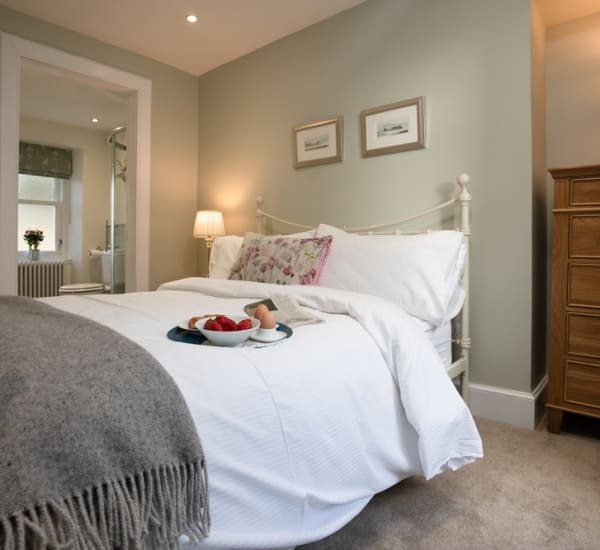 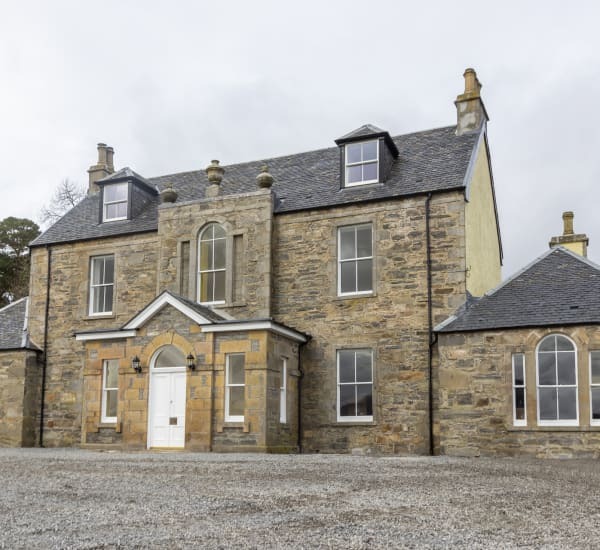 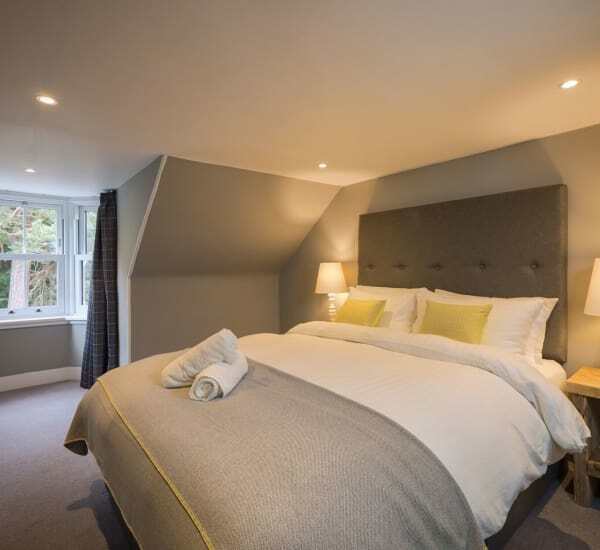 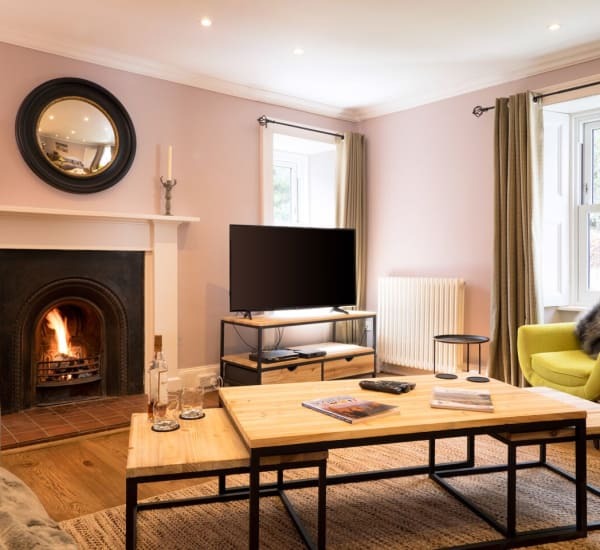 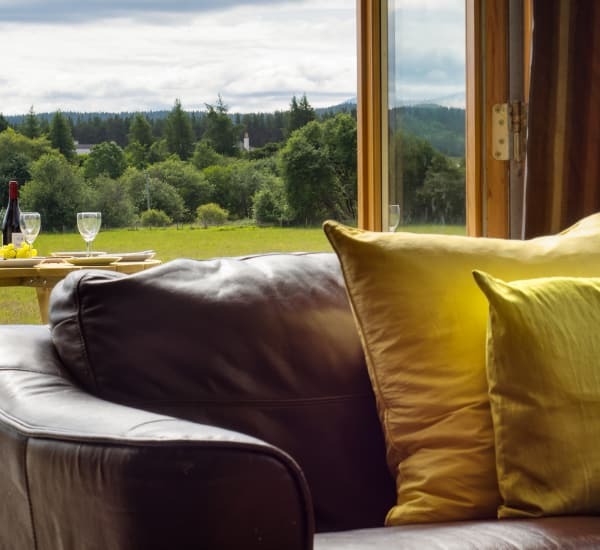 Supremely comfortable and contemporary accommodation wrapped up in an elegant Edwardian Highland villa - the perfect blend of old and new! 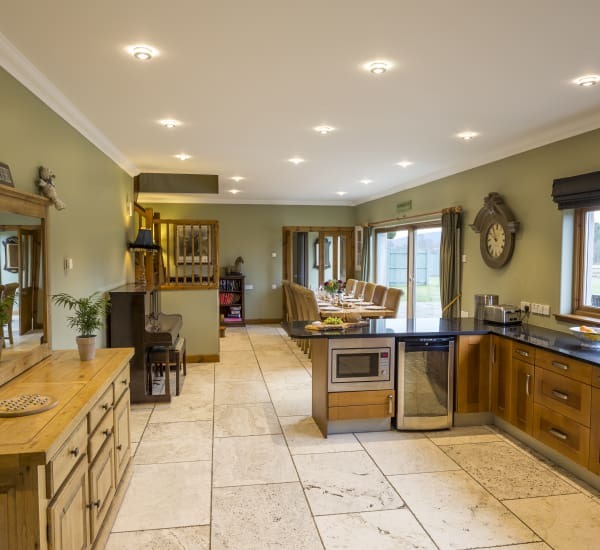 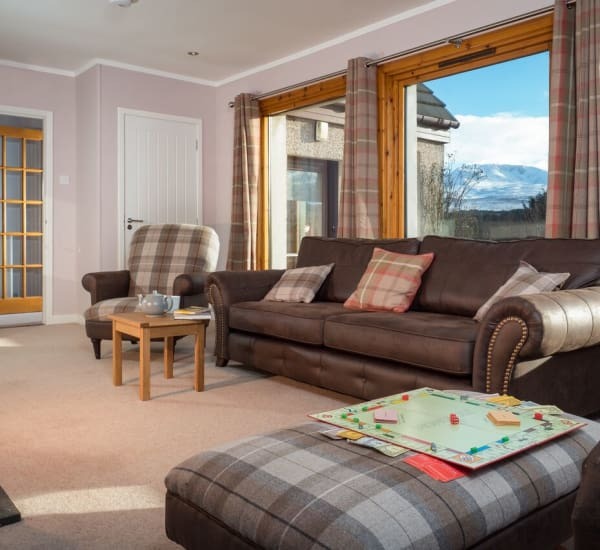 Spacious modern lodge with games room, two TV rooms and sauna. 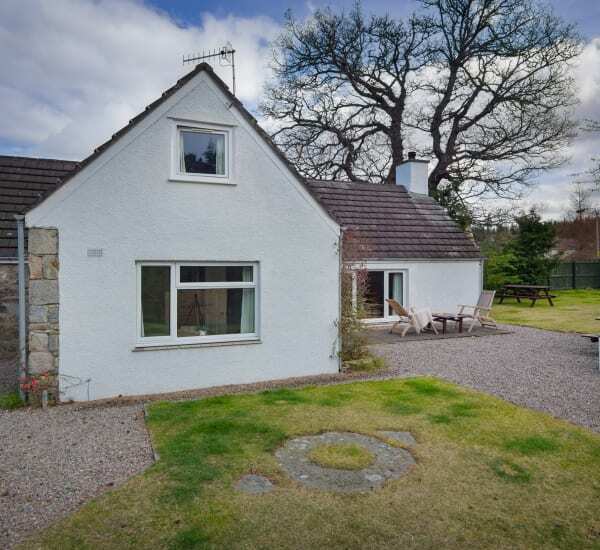 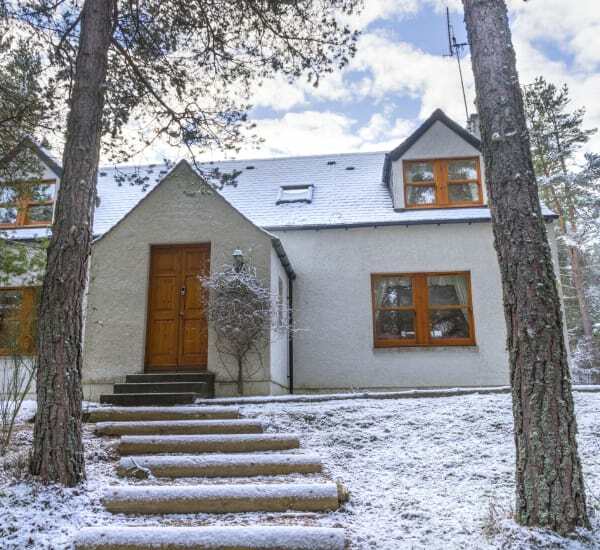 On the edge of Carrbridge with panoramic views. 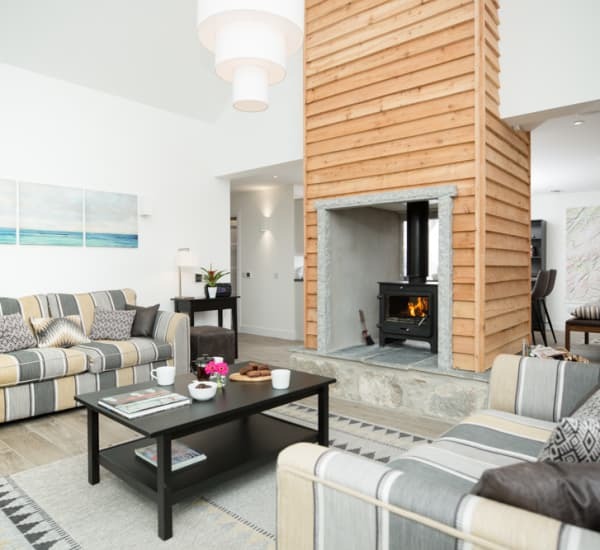 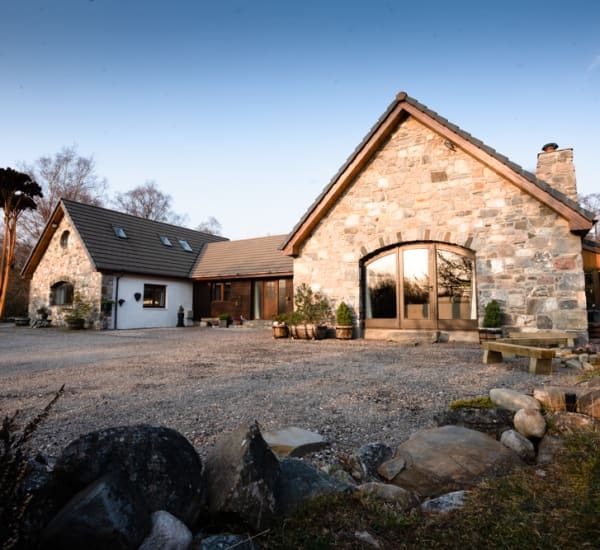 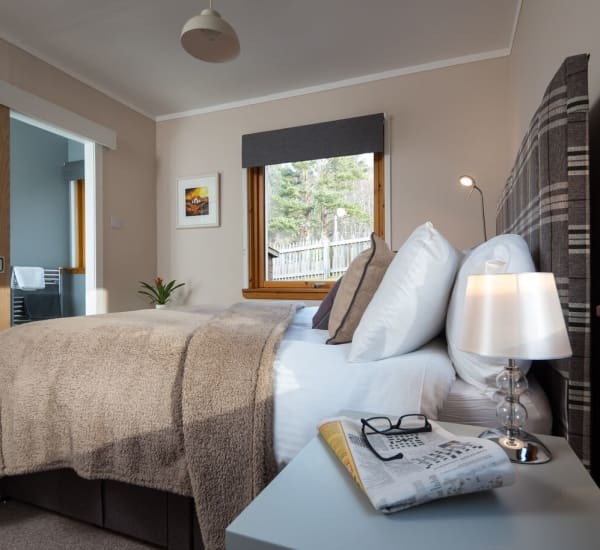 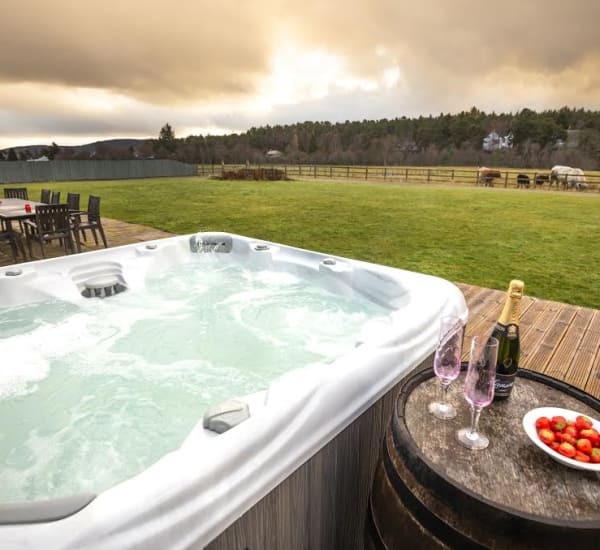 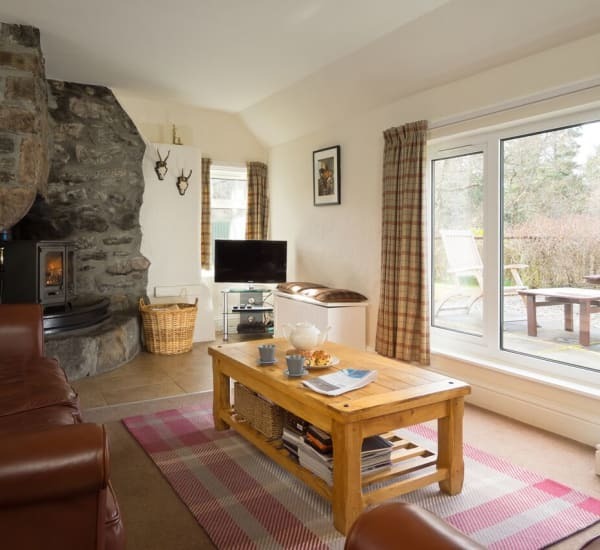 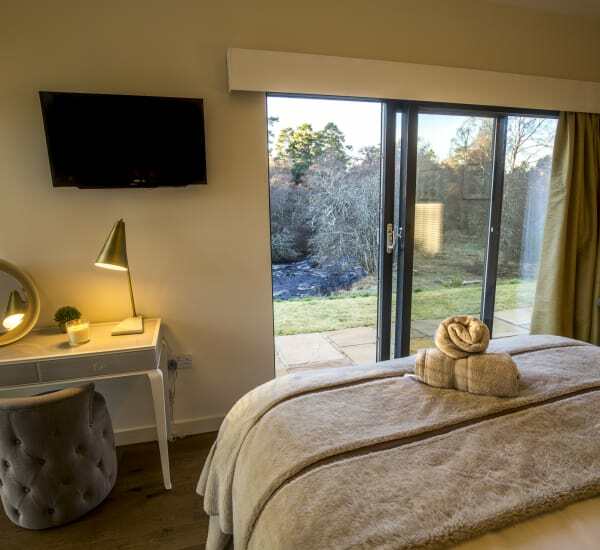 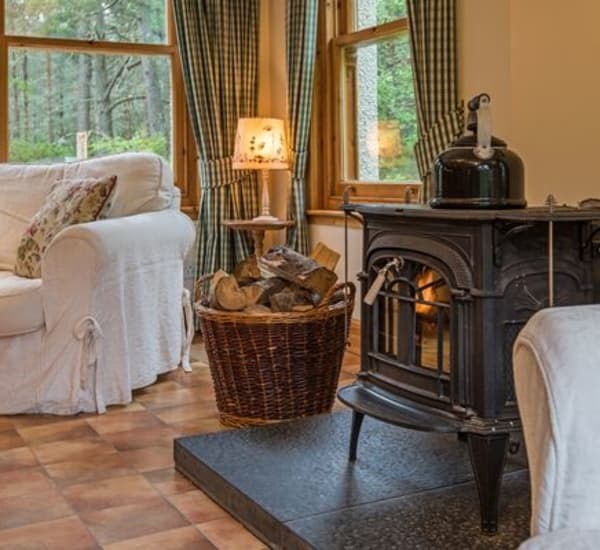 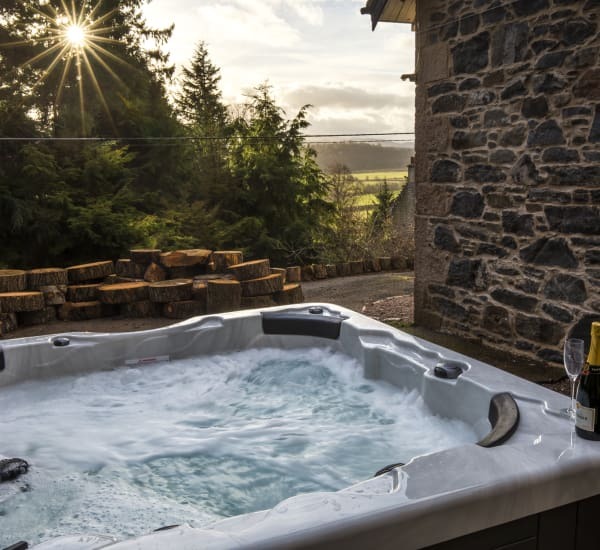 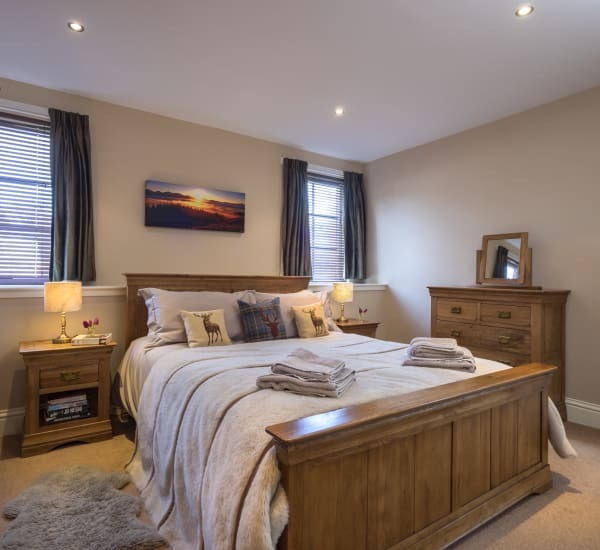 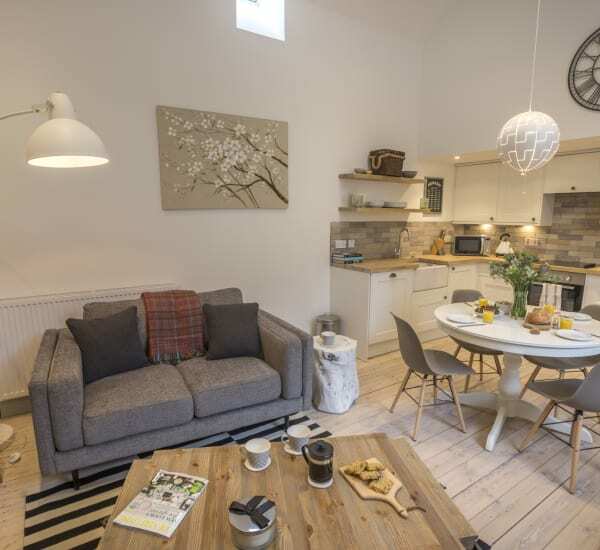 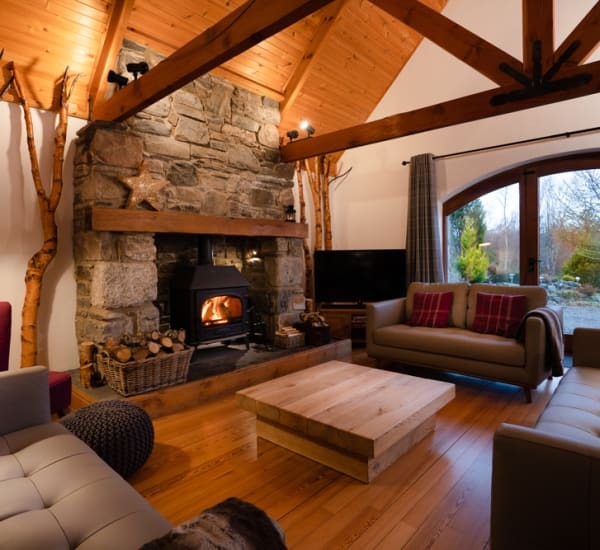 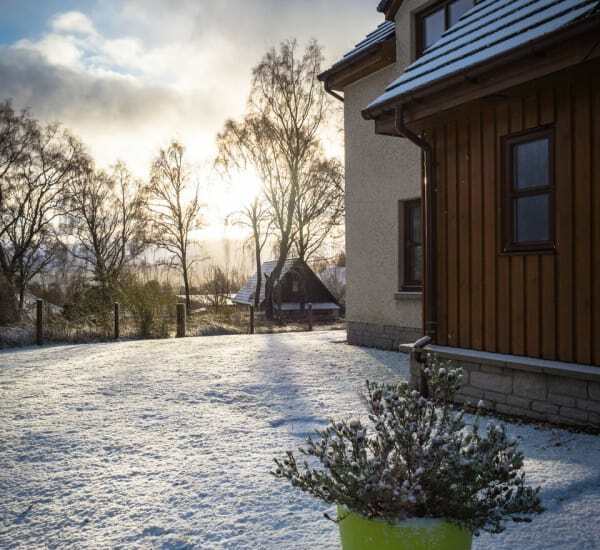 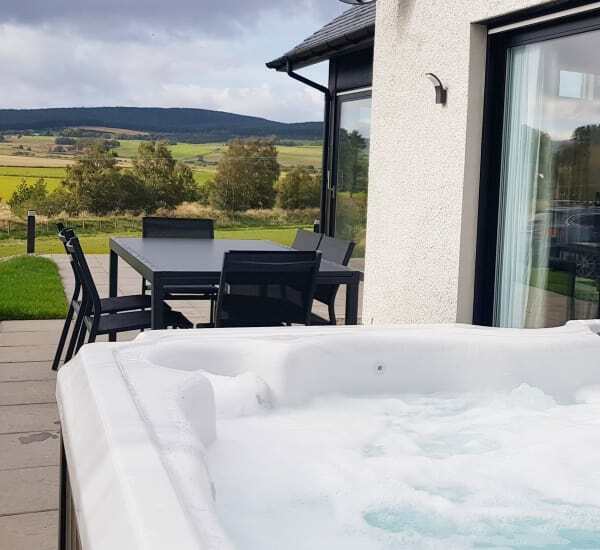 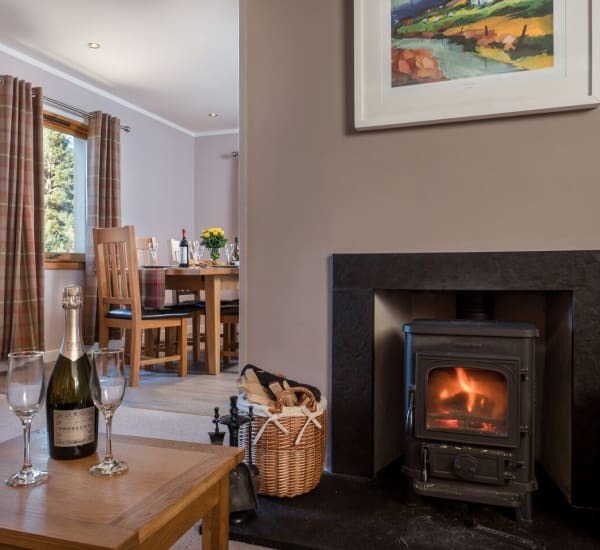 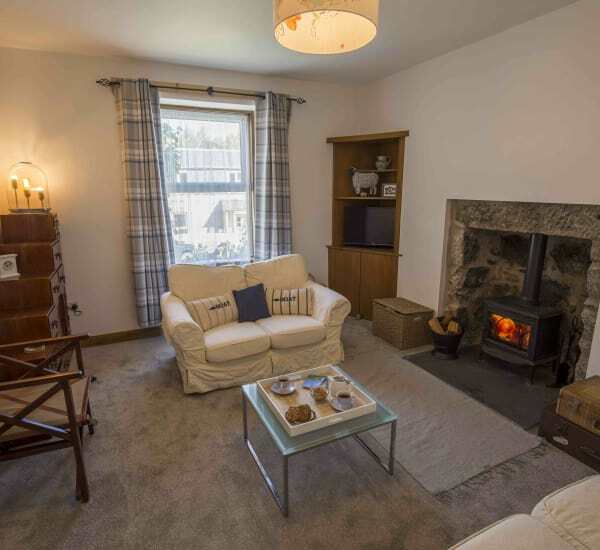 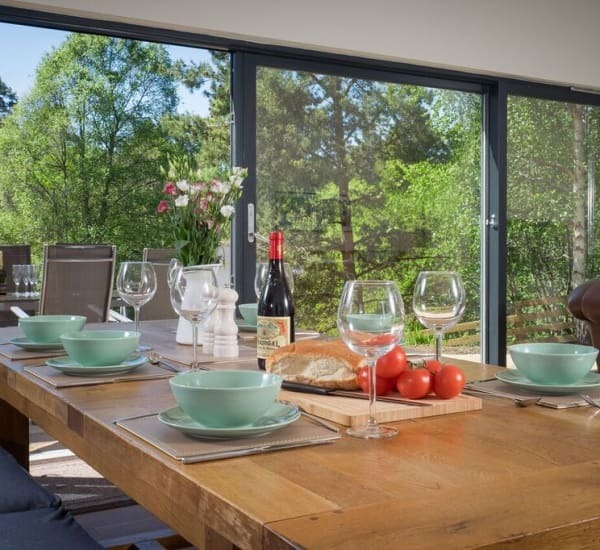 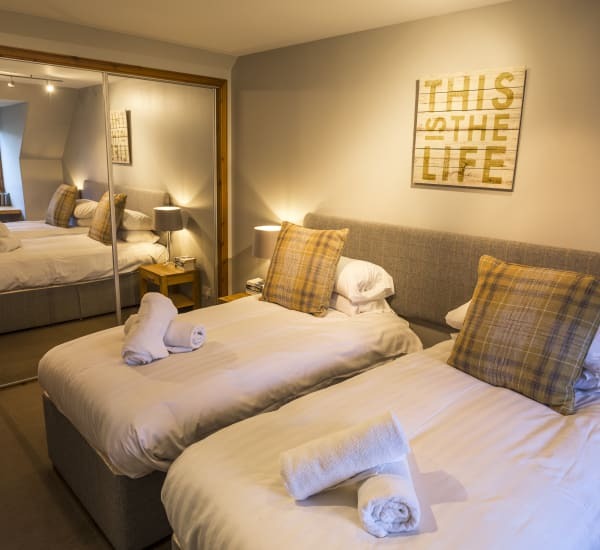 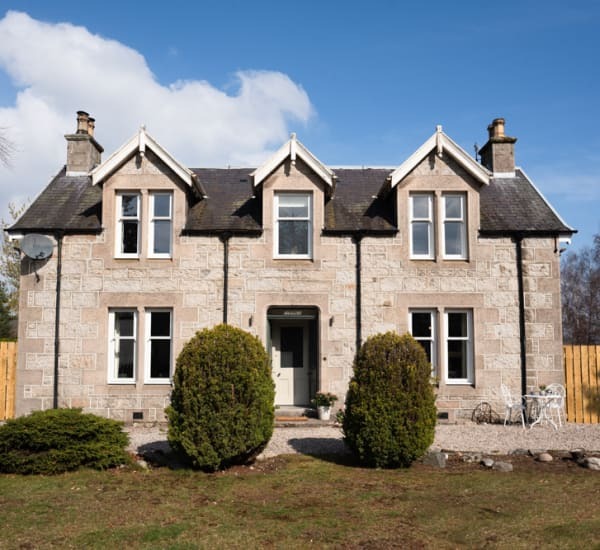 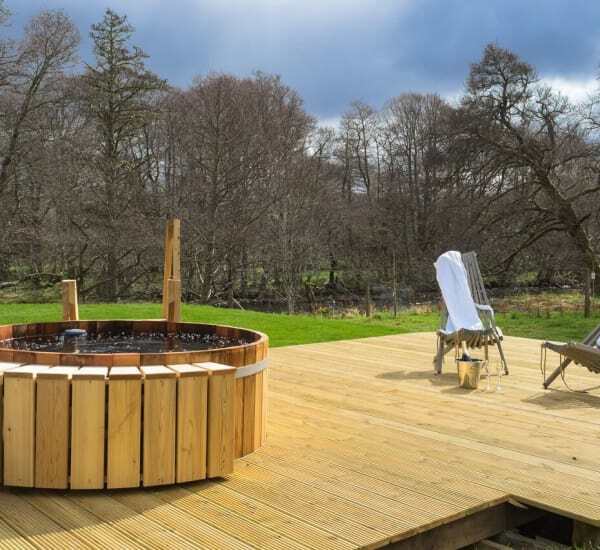 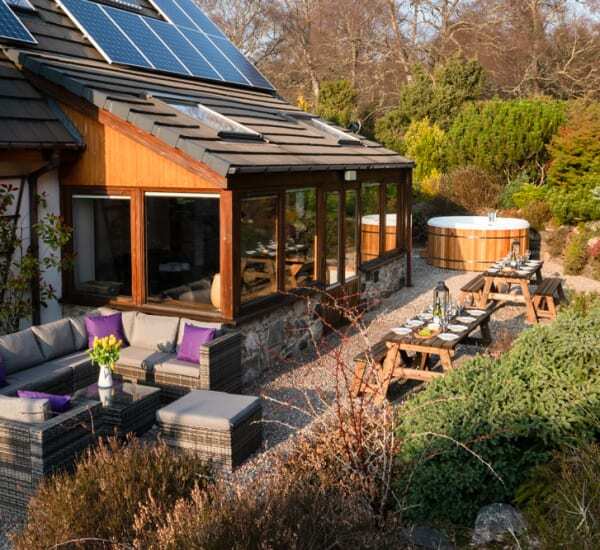 Stylish and atmospheric pet friendly highland lodge, with hot tub and sauna in the Cairngorms National Park. 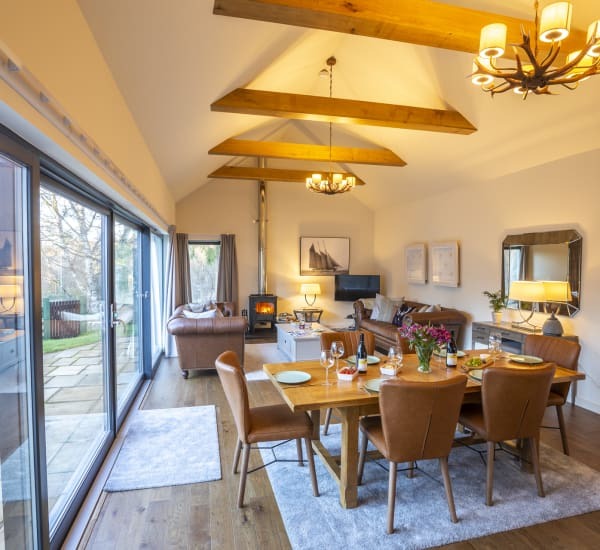 Architecturally designed, pet and family friendly with vaulted ceilings, underfloor heating and fire pit on the banks of the River Nethy. 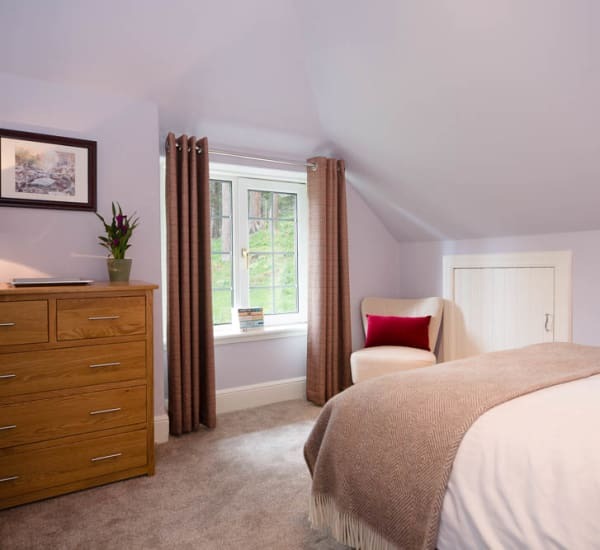 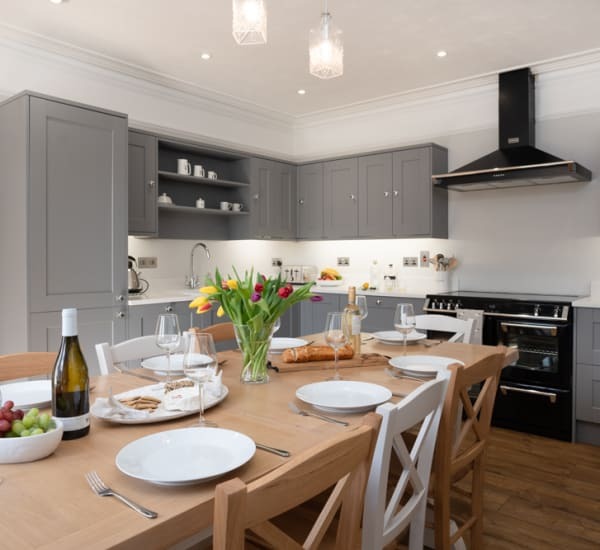 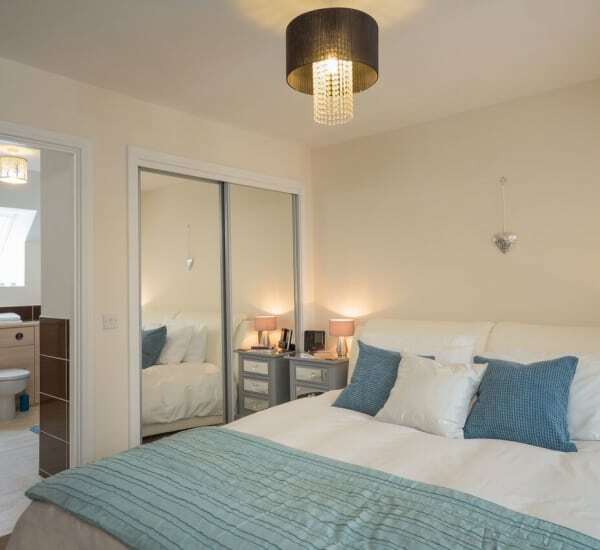 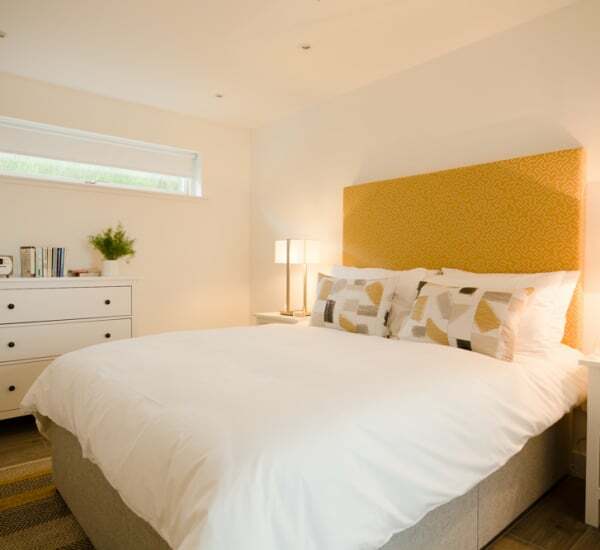 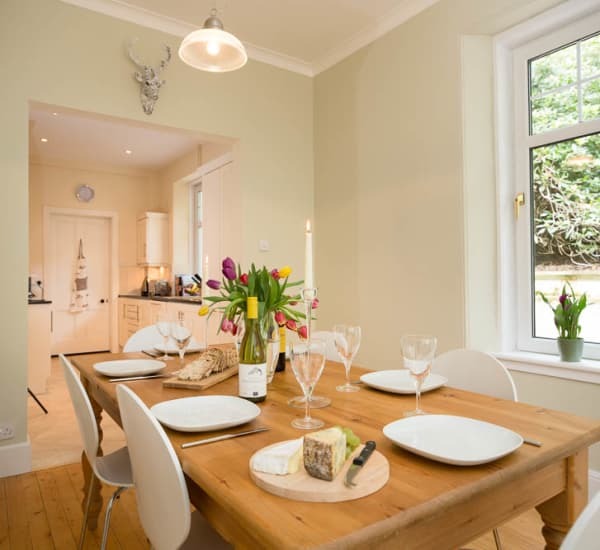 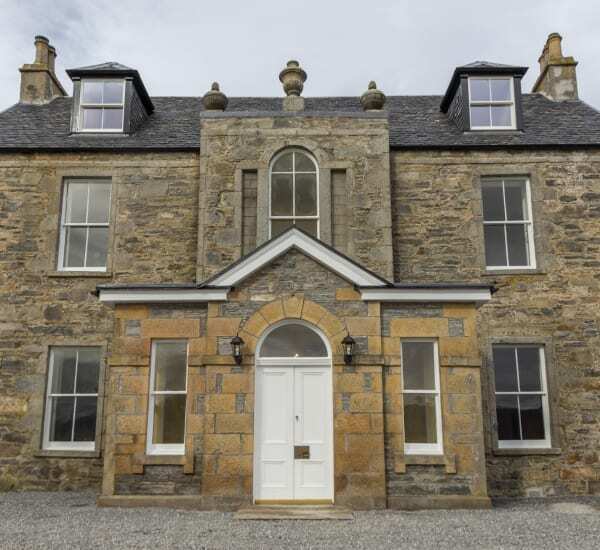 For larger gatherings why not book these two stunning neighbouring properties together? 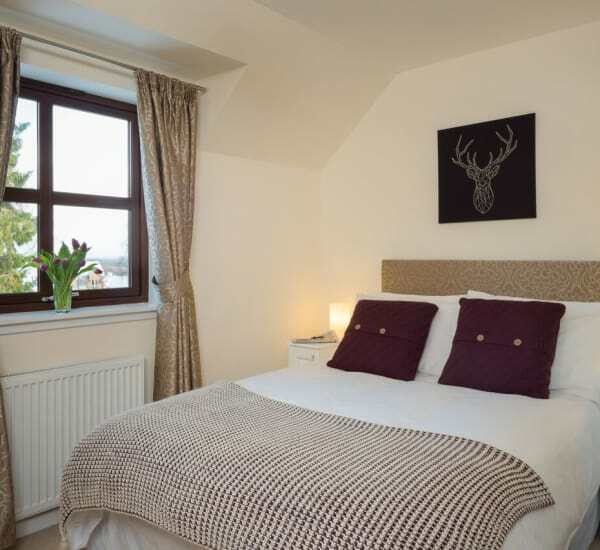 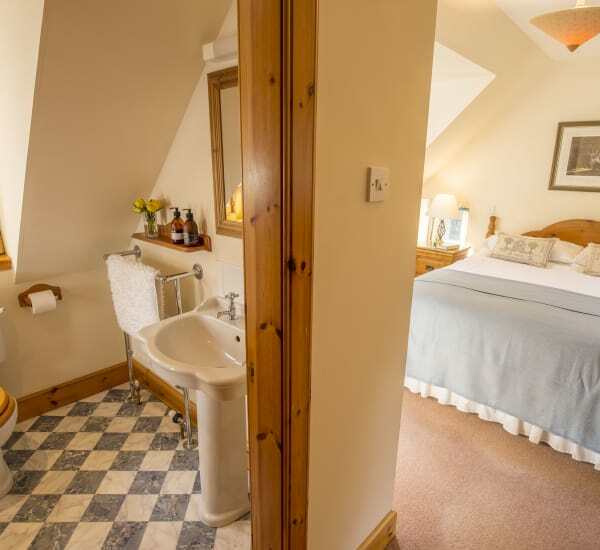 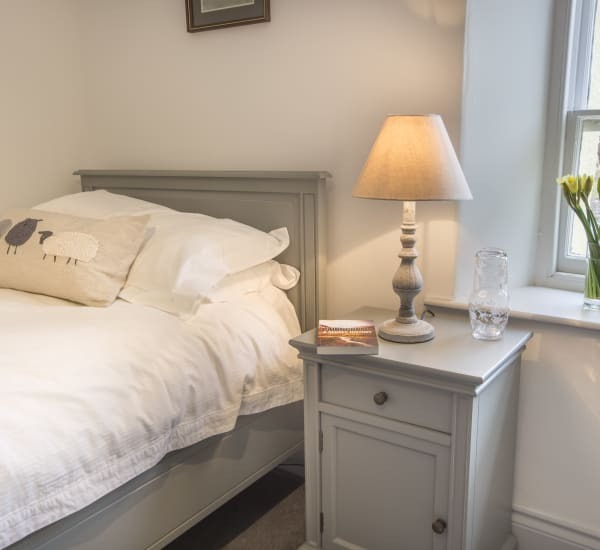 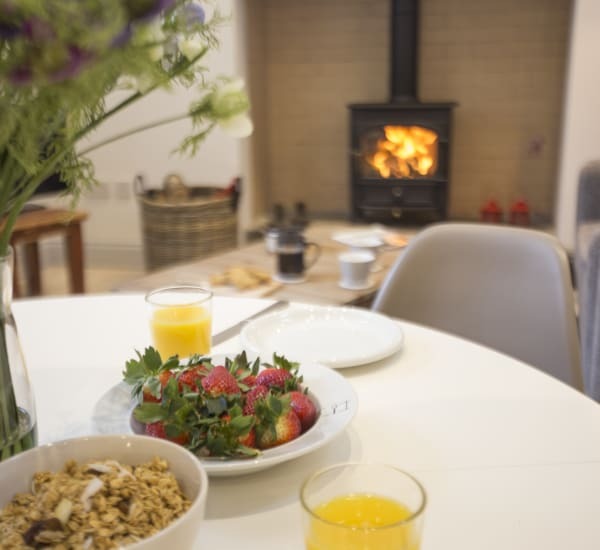 Stylish and cosy converted railway cottage in the heart of lovely “Boat” village. 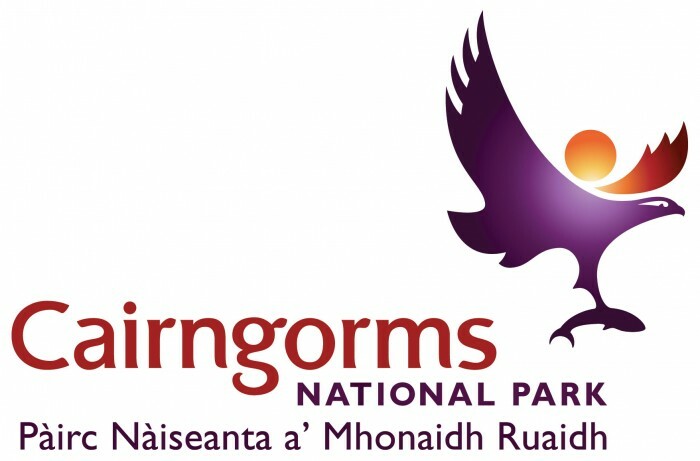 A dream for walking and biking.